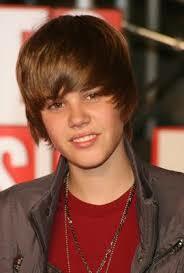 I hate Justin Bieber’s hair. I really don’t know who he is – I think he’s a singer, but I don’t care. I see his hair and any miniscule of interest I might have had in finding out more about him has left the building. 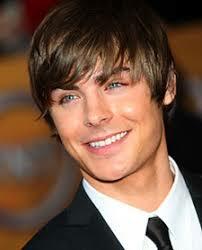 He may be very talented, but I just can’t get past his hair. Matter of fact, I can’t stand this hairstyle on any boy or man. It’s not flattering, especially if you don’t have the face for it – not that anyone really has the face for it. The first time that I noticed this horrific hairstyle was on manchild Zac Effron and Peter Wentz, the bass player from Fall Out Boy. Of course Wentz compounded the ugliness of his hair disaster by wearing tons of black eyeliner so much that even a raccoon would question it. 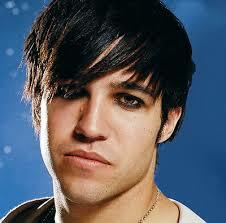 You don’t know what an ’emo’ hairstyle looks like? You probably didn’t know what it was called but you damn well have seen these hair follicle disasters in your local area. You have probably thought that the person wearing this hairstyle was having a bad hairday or they were suffering from hat head for keeping their hat on for too long. Well now you know, unfortunately, that this hairstyle was done on purpose. 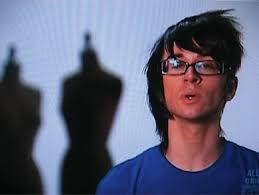 I hate how the hair is plastered to a guy’s head like he’s wearing a bad wig. I hate how that it is so long in the front that the offender is constantly brushing it to the side so that he can see. I hate how some wearers look like they haven’t washed their hair in days because they have so much gel plastered on it to hold the style. I hate how some guys wear the style blow-dried to perfection that they look like they’re wearing a bowl on their head. I hate how the style makes guys with weak chins look elfin-like. I hate how the style makes guys with block jaws look like a man servant in a bad medieval film. I hate it. I hate it. I hate it. I had hoped that once Wentz and Efron saw the error of their ways and got rid of their emo styles that their acolytes would follow, but this did not happen. Justin Bieber happened and the style saw new life. I’m not saying that I’m against boys or men wearing hairstyles that cover some of their face – see actor Corbin Bleu, NBA player Dirk Nowitski or model Gabriel Aubry. I’m just saying that it shouldn’t be the very first, second and third thing that you notice about a person because their hairstyle is so visually overwhelming. It’s the only thing you will notice and remember about them, which is a bad thing if/when they decide to rid themselves of their unfortunate hairstyle. Men can do a lot with their hair which is a wonderful thing. Why pick the worse style possible when there are so many more pleasing options? Vietnam Memorial. Arlington Cemetery. Lincoln Memorial. The Washington Monument. Jefferson Memorial. When standing in front these memorials, visitors experience a range of emotions. Awe. Hurt. Sadness. Respect. The United States National Parks Services (NPS) the government bureau responsible for the maintenance of these memorials, wants visitors to notice and feel the beauty of these memorials – not any aesthetic bruises that would detract from the experience. However, not every Washington, D.C. memorial is viewed with excitement and reverence by its visitors. The Ulysses S. Grant Memorial is classified as a presidential memorial, like the Lincoln, Jefferson and FDR, but in terms of recognition it is the poor stepchild of local memorials. Visitors congregate in front of the memorial on a daily basis, but have no knowledge of Grant or his history. Dennis Montagna, Director of National Park Services’ Monument Research and Preservation Program said that it is a “very anonymous memorial” whose site is mainly used as a place for high school classes to get their picture taken because the U.S. Capitol building is right behind it. Kirk Savage, author of Monument Wars: Washington D.C., the National Mall, and the Transformation of the Memorial Landscape said that “it’s amazing how little is known” about the memorial or the man. The Grant Memorial is located at between Pennsylvania and Maryland Ave, near the west side of the U.S. Capitol Building. 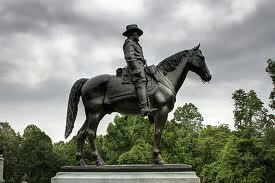 It was dedicated in 1921 in honor of Ulysses S. Grant the 18th president of the United States. It is one of twenty-seven presidential memorials in the United States. It is also the first memorial to be constructed on the National Mall. Unlike other presidential memorials such as the Lincoln or the Jefferson, Grant’s statue was not in honor of his presidential legacy. Unfortunately, President Grant’s administration from 1869 to 1877 was full of governmental mischief from start to finish. Staff members resigned over a host of scandals such as bribery, extortion, financial kickbacks, embezzlement and causing the gold market to crash. Grant had a bad habit of hiring the wrong people. He also had an even worse habit of remaining loyal to these malcontents who were steadfastly throwing his presidential administration under the bus, to use a current vernacular. Grant’s presidency did have some accomplishments such as the passage of the Fifteenth Amendment that allowed African-American males over the age of twenty-one the right to vote, the 1875 Civil Rights Act which prohibited discrimination and segregation against African-Americans in public settings, his “Peace Policy” for Native Americans and establishment of the U.S. Department of Justice. However, it’s hard to point to your triumphs when your failures are more pronounced and politically salacious. After his presidency Grant tried to settle back into a normal life, but it was hard due to financial missteps on his part. However, Grant used this time to write his memoirs, which provided the public with its first insight into the presidency. When he died of throat cancer in 1885 over one million people gathered in New York City to watch Grant’s funeral procession and burial ceremonies. According to Joan Waugh, author of Pageantry of Woe: The Funeral of Ulysses S. Grant, Grant’s funeral was a “spectacle, replete with religious, patriotic, and nationalistic imagery and rhetoric” and that across the country thousands of eulogies and obituaries for Grant “stressed his Christian moral character” and military role in “preserving the Union.” Not much was said about his presidency, which was to be expected. In the years after his presidency there was a movement to honor Grant with a statue in honor of his work for his country. Though his presidency practically drowned in scandal, Grant’s reputation was saved by one major historical fact. Prior to his presidency, Grant was the magnificent general who led the Union Army to victory against the Confederates in the American Civil War. Grant supporters’ arguments carried the day and the Grant Memorial was built after his death, just like all the other presidential memorials. Yet the Grant Memorial is not like other presidential memorials. What makes it different is that it is a military memorial that honors a former president. Shrady designed the Grant Memorial to include three sections consisting of Grant in the middle with images of a cavalry charge and an artillery unit on his left and right of Grant statue. The ‘hell’ that Montagna is referring to is reflected in the faces of the artillery unit and cavalry charge statues that are next to Grant. These statues show a different side of war. In the artillery group the men are readying for battle with their faces set in determination for the inevitable with their howitzer in tow. The leader of the artillery looks as if he was caught giving an order in mid-sentence. The horses are charging full steam ahead, necks arched almost prancing while they churn up water and mud as their hooves try to find traction in the land. As for the cavalry group their determination has given way to fear and pain. The men are huddled together fighting off the cold as their cart takes them to another battle. A horse has lost his footing and is falling down. Unfortunately it has taken a soldier with him who most uncertainly will be trampled to death. The soldier’s face is crying out but no one seems to hear him. Savage said that if you didn’t know any better you would think that it’s an “anti-war” memorial. The Grant Memorial was highly praised upon its dedication. It also was seen as a first step in the revitalization of Union Square, what is now the National Mall. The goal (McMillan Plan), according to the Commission on the Arts (commonly known as the McMillan Commission) at the time was to have more gardens and parks surrounding the memorial. Instead something called the Lincoln Memorial, built to honor the sixteenth president was dedicated in May 1922, one month after the Grant Memorial dedication. Just like that – the dwarfing of the Grant Memorial had begun. As more memorials and a reflecting pool popped up along the National Mall the view of the Grant Memorial became more obscure. Others such as Grant historian James Goode and the Washington Post’s Paul Richard have championed the Grant Memorial to raise its recognition, but not too much avail. Too add insult to injury the memorial was also getting worked over by the elements. Rain and snow created a type of rust that coated the pristine bronze statues of Grant Memorial with a green-like coating that oozed its way down onto the marble. The marble platforms and ballasts have cracks and missing pieces. Not much was done about it until the 1980s when the National Parks Services began cleaning and waxing it again. Catherine Dewey, Architectural Conservator at the National Park Service said in an “ideal world” the memorial would be cleaned at least once a year. However, she said that the cleaning of monuments and memorials are “partially based on need” and the “higher profile” of the monument. “Sometimes it’s hard to pick and choose which memorials and monuments deserve funds and which will have to wait a while.” said Montagna. 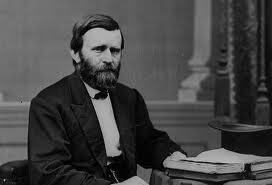 Dewey said that the National Park Service is seeking funds for the restoration of the Grant in the next few years. In the interim, since the Grant Memorial is not the Lincoln, the Vietnam or the Jefferson it has to wait for its turn in the cleaning rotation. Yet there are people out there who think that the Grant Memorial still has a shot at recognition. Savage said that the memorial needs to be “interpreted for contemporary use” with kiosks, podcasts or audio and “create a whole new physical circulation to the Mall area” to include the Grant memorial in its foot traffic. Or maybe the memorial should be rebranded as a statue-like movie as described by Richards “offering horses at full gallop drama, ceaseless action, bugle calls, grunts and screams.” Also, Grant has become pretty popular in the publishing industry, with some authors saying that his presidency wasn’t all that bad. But is that enough? Maybe the Grant Memorial one day will get the recognition its supporters thinks it deserves. But as long as it is staring across the Lincoln Memorial that recognition will always be hard to find.